Salon ownership the skills required to own and run are successful business are many the challenges immense. Working as a stylist in a salon being a part of a team being busy and successful is great and for many reaching this level of salon successes enough, maybe your renting a chair in a salon have your own micro business? Maybe your a small work from a home salon business. A mobile stylist. All of these are totally respectable avenues to explore within out industry but over the past years thing have changed hugely. We have responsibility to our selves our work mates our clients to have a full understanding of all matters relating to even aspect of business from Tax to licensing to health and safety. The legislation governing the safe use and indeed disposal of products always keep up to date books and records having all required qualification, certification, and licenses. Keep up with and on top of new products, new techniques. The challenges of running owning managing a business managing people if quite a lot to deal with. How do you? Are you ready for this? Are you fully aware of what to expect and the challenges it will present ? As a business owner what ever business you have you still have to find time to reflect on the direction you and your business are going in. The service you offer the standard of work being done. What ever your business model. How often do you take the time to reflect on any of these topic’s in an honest reflective manner? We have to find time take the time to explore avenues to offer help advise guidance.Training up grades staying current with all aspects of our career and business.Salon ownership:Often stylist reach that level of success being fully booked and busy and they start to dream have a vision a vision to won and run a salon after all they have the clientele already established. In theory it sounds easy find a location rent a a space do it up open a salon. But so many new set up businesses fail because stylist don’t have the skills the understanding of how to run a business how to manage people who to create a strategy for business stability and success. From booking keeping to staffing from pricing to sales from vision to reality. Having a dream and goal is a wonderful thing if your going to invest your money in starting a business invest in your self invest in getting the skills and the support to be successful. To may don’t do this and they end up Discounting to survive? Education and training challenging your self gaining the skills to be successful ,Having the courage to seek out help ! Keeping up with education in both business and all aspects of our chosen field is so important. Education creates excitement because there is always something new to learn loose the passion loose the drive! Education keeps you connected product knowledge is a must nowadays. Clients want to know that the ingredients and formulations are safe and what we recommending for them to use will work and be value for money. We as salon owners and stylist need to know cause effect understand what we are using and why. We have to be aware and have an understanding of changes in the law and regulations pertaining to our profession Now I’m curious to learn more so I’m not putting anyone (client, work mates and myself) in danger. Just because one is certified in a new technique does not mean we have the full picture and trust what we are told as truth set in stone! Law’s and regulation are in constant change the information we are given on products how they work and indeed the effects that that can cause are not always clear but the burden to ask the right questions is on us their are no excuses for not knowing or understanding. A topic has arisen that is a follow on from my earlier posting ownership management chair rental. It’s how we look at salary commission based earning or Chair rental. What is a fair rate? What is a fair way to compensate salon owner and stylist ? Without causing decent work place break down creating unwanted issues. For the most part stylists after training will move around a few times trying to find a fit a work place that allows them to build up a good client base a place they can earn what they see is a good wage. In many cases as time goes bye and experience is gained and our stylist starts to get busier bring in more money to the salon. As this happens resentment can set in with regard to ratio of pay to turnover.How can this be prevented what are the signs of an unhappy Staff! In many cases the staff room gossip signs of apathy lateness. Work standard dropping standard of service suffering. Many stylist will think about and see things that exist within their work bubble a simple world of I do my clients they pay X at the end of the day i have brought in X and sold Y yet my take home pay is only X and that’s before i pay Tax. I do all the work it’s not fair my boss should get so much after all what do they do!! Commission can be mixture of guaranteed basic and commission targets as a productivity incentive or just commission. what is fair well of course as we get busier more established build our client base we can earn more on a regular bases but the thresholds will always be how many clients can we do how much do we charge whilst maintaining standards and service! It is a natural progression for stylist to look to get a bigger cut of the pie choices start your own business not easier or look at chair rental. This gets interesting chair rental was when it first came out was quite visionary a stylist pays to rent a chair a space pays X per month and runs a small business within a business. Of course the down side is having to pay that rent whether you are busy or not! having to keep books pay your own tax. stock appointments you are your own little self employed Business. As an evolution of this a new chair rental business scenario has come to my attention. 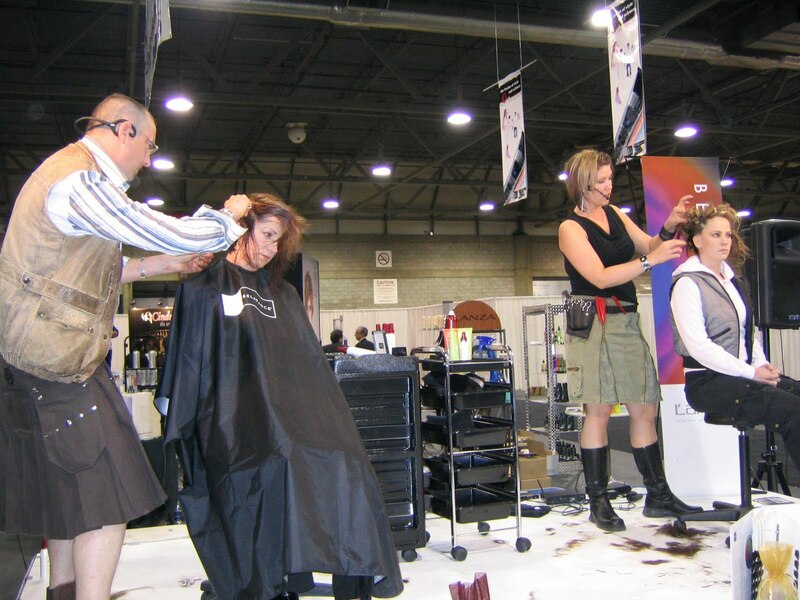 A stylist rents a chair fro a monthly fixed fee but also pays a percentage of their take to the salon owner. Hum! for the this owner provides salon reception sales support motivation marketing skills sounds good its seem’s to be a blend between commission based and self employed. Lets look at this with some bogus numbers. Although the stylist left the salon in our first example paying commission for a better deal more control a bigger piece of the pie the down side is booking keeping paying tax keeping accounts. From a Stylist point of view strait chair rental is the best deal but involves a lot more work and commitment from a stylist it’s time to grow up and take responsibility for your self your actions. The example that seems to offer the worst deal from a stylist point of view is rental and turnover split! For this to work the split has to be less on the turnover to make it as appealing as just chair rental the split would have to be Rent + 25% take fro the salon owner. By nature Stylist will always want to move on find a place where they feel they are making a fair wage for there skill, they will always feel they are working making money for the boss or owner it’s natural not always realistic given the costs of doing business. In closing I think it is because of the above options many choose to become home based or mobile stylist. I do however think that there is a fair balance that affords both salon owners and stylist away of coming together to work and create a successful business that provides for all the key is communication honesty, discussing goals oh and not being greedy yep being fair you need each other I hope this is helpful to all those trying to work out a career or business Move. None of the above take into account charging VAT and keeping records and paying revenue for this said Tax. you are in essence a tax collector this Money should be put to one side.